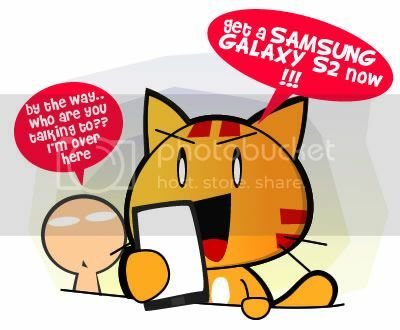 Miao & WafuPafu Comic Blog » Miao Loves Samsung Galaxy S2!! « Happy Halloween to all!! Posted on November 1, 2011 by Jian Akiraceo. This entry was posted in Advertorial. Bookmark the permalink. Wow, cool phone. But swype apps seem really complicated T_T how about other letters that our finger just past through? u jz pause half sec and the letter then go to the next letter. 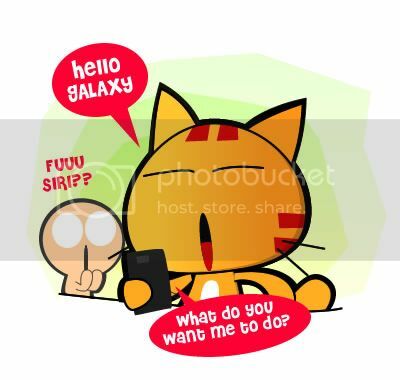 Is samsung galaxy 2 better? how much does it cost? yeah ~ i’m also a GALAXY S2 user since sept 5 .. i got it as a bday present from my parents … it’s like a dream come true to upgrade my nokia 3310 to the android king phone .. \(^.^)/ .. cheerz to galaxy !! I <3 my S2… Had it about a week… Love love love it… actually using it to write this msg… keke..
im gonna get S2 tomorrow….. thx for the tips…. I holding the 1st generation. contact not up yet. trying to convince a friend who can’t decide between iphone and samsung to get this. I also send this message using swype.